Monday we featured some cute dresses from Victoria's Secret that would be great for bridesmaids! Today I have taken one of those dresses and used it in a color palette! 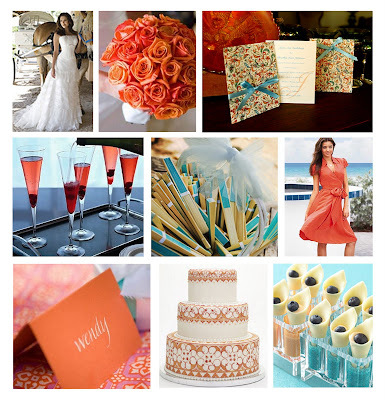 I can see these colors used in a hot spring celebration, a sunny beach theme wedding or even a warm fall wedding. 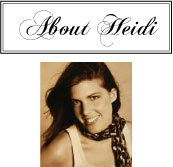 It all depends on the setting and the elements you infuse into your wedding. I love these colors because they are so versatile! 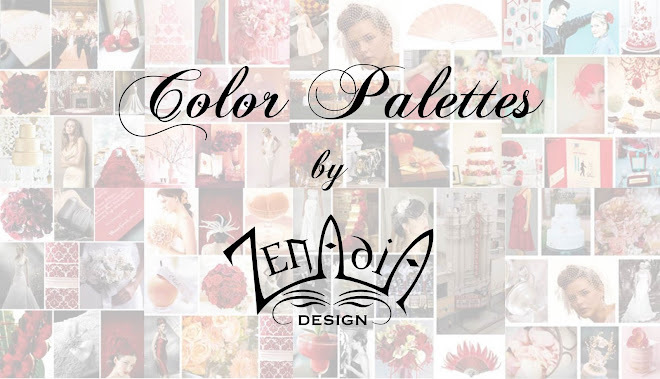 Is it possible for you to do a coral and gray color board? I would love to see how those colors would look together.